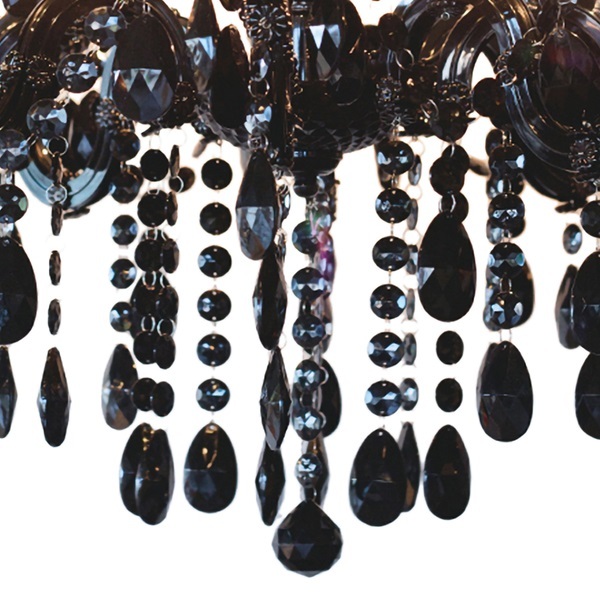 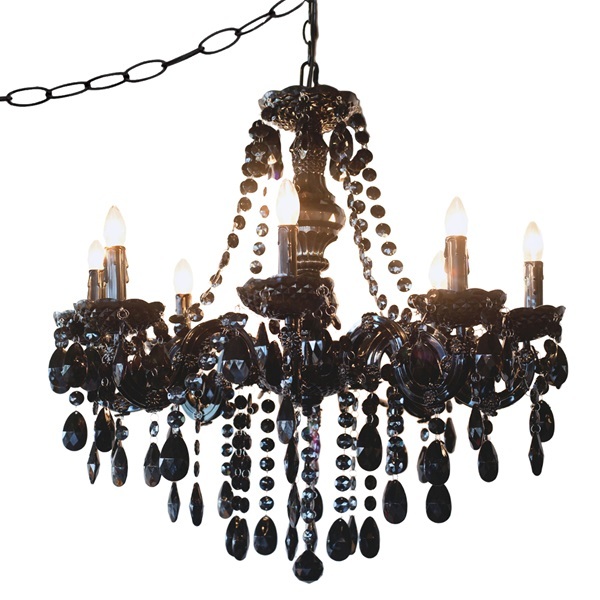 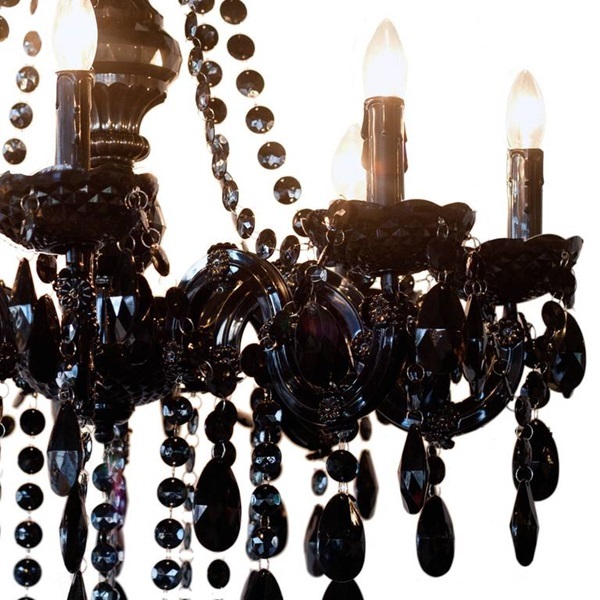 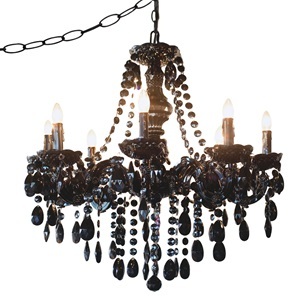 This stunning chandelier is crafted in black crystal like faceted jewels. 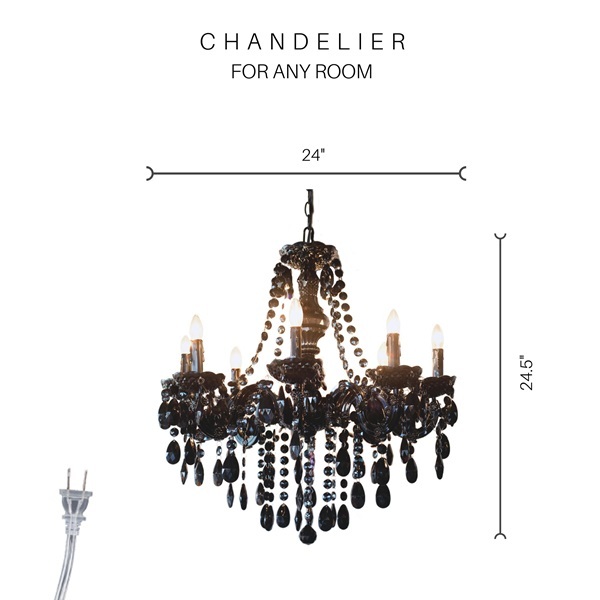 Each of the eight arms is adorned with a bobeche and molded candle covers, which give the look of an authentic candelabra style chandelier. 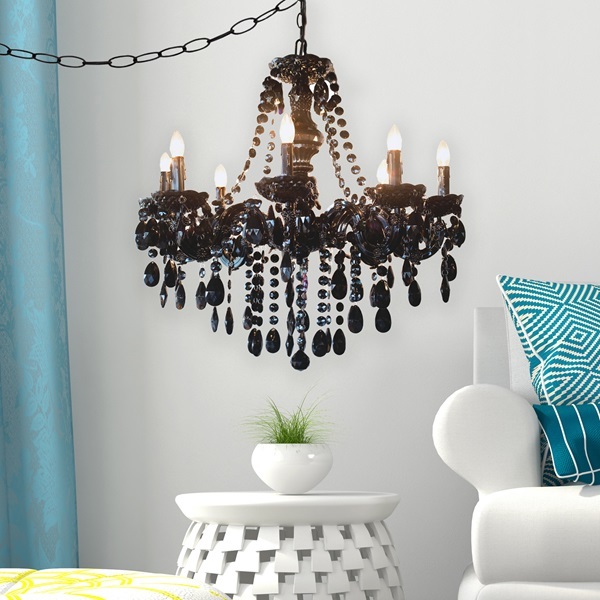 This chandelier is equipped with a plug for easy installation, all you need to do is swag the chain and plug it in.